Edited by Susan G. Assouline, Nicholas Colangelo, Joyce VanTassel-Baska, and Ann Lupkowski-Shoplik. 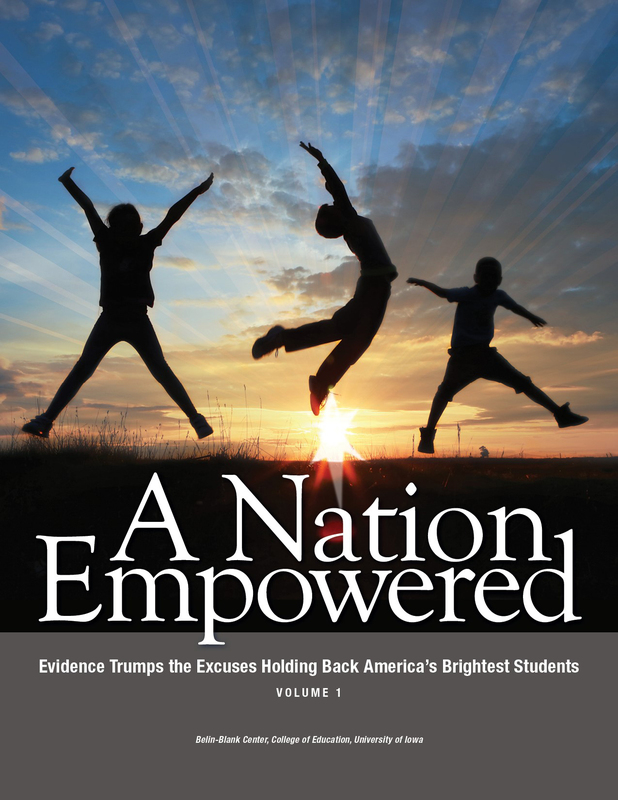 A Nation Empowered provides an update to the watershed work initiated by A Nation Deceived: How Schools Hold Back America’s Brightest Students. For more information and resources about acceleration, see www.accelerationinstitute.org. To receive updates on this important work, follow us on Twitter (#nationempowered) or sign up for the Belin-Blank Center newsletter, Vision. Learn more about the publication through the Belin-Blank Center's recent webinar, Acceleration: From A Nation Deceived to A Nation Empowered.